Soros and fellow donors would like to reduce incarceration, crack down on police misconduct and revamp the bail system. They claim the bail system unfairly imprisons poor people before trial. In the current primary election campaign, Soros and other liberal donors, as well as the American Civil Liberties Union and social justice groups, are targeting district attorney races in four California counties — San Diego, Sacramento, Alameda and Contra Costa. They are supporting challengers in three of the four races, a couple of whom are taking on entrenched incumbents. With backing from Soros and other major donors, the challengers have matched or surpassed the millions of dollars the incumbent DAs have raised — mostly from police, prosecutors and local businesses. Stanford law professor David Sklansky, a former federal prosecutor, said the infusion of cash into district attorney races changes the nature of the campaigns. In previous years, district attorney races had tended to focus on character issues, as opposed to policies, Sklansky said. Many of the donors and groups funding liberal district attorney candidates are the same individuals and organizations that backed California’s Proposition 47 in 2014. Prop. 47 reduced drug crimes and most theft convictions from felonies to misdemeanors, irking many law enforcement officials across the state. Some law enforcers are now expressing concern about the efforts of Soros and others to install a new breed of prosecutors in the state. In San Luis Obispo County, a challenger, retired judge Mike Cummins, is also receiving considerable funding to take on incumbent District Attorney Dan Dow. Cummins, like challengers in several SLO County races, received his largest contribution from the family of Andrew Holland, who died in the county jail. Likewise, in the 24thcongressional district race, controversy has arisen over Soros family money. 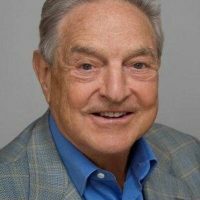 Congressman Salud Carbajal received a $1,000 donation from Soros’s son, Jonathan Soros. Challenger Justin Fareed responded with campaign material attacking George Soros, sparking a local dispute over Soros’s past, including the allegation that he collaborated with Nazis in Hungary during the Holocaust. Soros was 7 years old when “sold out his own kind” to the Nazi’s. Do the math. George Soros is radical far-left extremist, and he ought to be deported back to his native country in Europe. He is deeply Un-American and is doing what he can to destroy our country, its values and institutions. Whenever George Soros get’s involved, we must use his involvement to support the other side! This guy is a billionaire, and we can stop his negative monied influence by having thousands of people work to oppose his so-called ‘progressive ‘ political agenda. Soros supports high taxes, more government control and limited freedom. If George Soros wins, you lose. Vote on Election Day, Tuesday, June 5th. Left-wing billionaires bad; right-wing billionaires good. Great thinking. Go figure, right? But even more telling? Russian oligarch money being even more agreeable to the Regressive Right Cupcakes. Pathetic. Pass a bill prohibiting anyone with more than $100K in the bank to be banned from political office. So? Thats what people do. This B.S. anout the money affecting election outcomes wasnt a concern when citizens united allowed unlimited money into campaigns but now that a liberal is spenfing its bad? I agree, so what? As long as there is 100% transparency and all of the shenanigans are revealed. The problem is he is Hungarian, like Russians we don’t want foreigners involved in our electoral process. Except for Hillary of course who hides it in the foundation. He’s an American Citizen, has been since 1961. So your contention that you don’t want “foreigners” involved in our electoral process would include those who have obtained citizenship? Wow! The Regressive Right Cupcakes will go to any lengths to quell the right to vote just to see that they stay in power. Confiscate the guns, let the bad guys out, what could go wrong? Just an expansion of the crime spree that is occurring thru out our country during elections. Just like any other crime all you have to do is follow the money.